Fun story. Cleverly crafted. Many chuckles. 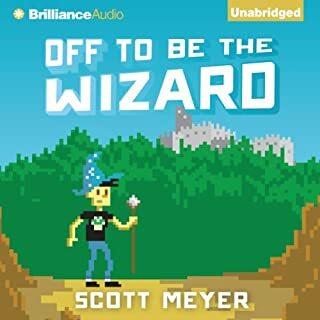 Absolutely PHENOMENAL narration! The artistic choices made by Luke Daniels made everything work brilliantly. Bravo! Story was good with no apparent holes in it. A little slow on action but enjoyed the Sherlock Holmes-ian nature of the story telling. Excellent narration. 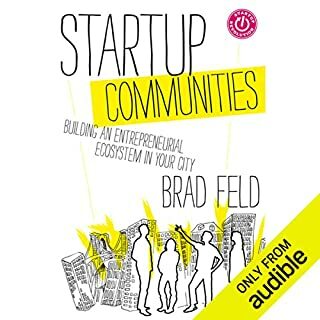 Brad Feld's book is a fantastic overview and insight into the important moving parts necessary for a healthy entrepreneurial ecosystem. But this is one of the few disappointing experiences I've had with audible.com. This narrator is worse than monotone, I could swear this was a machine-generated voiceover. What a HORRIBLE rendering of a topic that should be conveyed in a dynamic and passionate way. That's what the book is all about, after all: the dynamic and passionate nature of the startup community. The subject matter was absolutely eye opening. And mind opening. I printed excerpts (found online) for my employees and have personally been working to include some of Rock's suggestions into my management (and life) style. The narration, though, was simply awful. Nearly monotone. On more than one occasion it reminded me of the character Mr. Smith, from the movie The Matrix. And this made for an unnecessarily tough slog considering the scientific nature of the book. 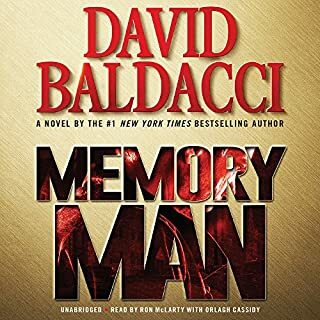 So, I steeled myself against the fact that I'd have to listen and re-listen to the book as I knew my attention would easily wane due to the sleep-provoking narration. And it was worth the investment of time (and I did indeed listen through it twice and found that I'd missed things the first time around) as it has indeed changed my perspective on how much control I could actually have of my mind. 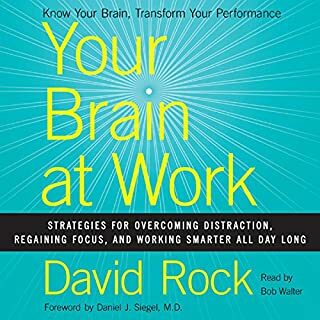 By the way, if you Google this book and David Rock, you can find papers that he's written and You Tube videos of some of his lectures for Google Tech Talk. 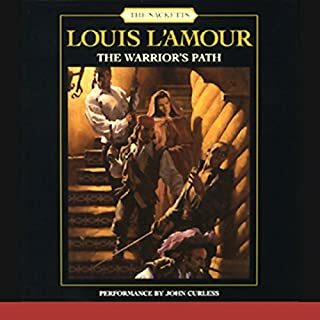 Although the craftsmanship of the author was excellent, I was left feeling entirely underwhelmed and even a little empty after listening to this work. There was no deep character development and at that, the characters all seemed simple-minded and even base - quasi animal-like. And perhaps that was the message, that we are all just simple, base, primary needs driven creatures. Having said this, I actually doubt that Buck was trying to make that the main point of the work. And so, was the main thrust that the land is virtuous in some way? If that was her point, then she fell short of explaining why. I believe there's a chance that this work rose to its Pulitzer prize winning status due to political/sociological events going on at the time, i.e., the depression and class struggles. 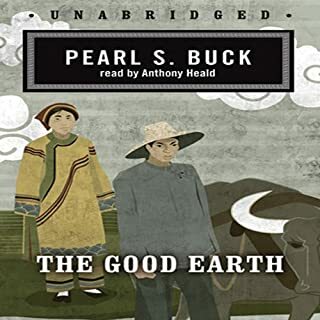 I doubt it's an accident that this work, extolling the virtues of farmers and portraying the wealthy as entirely negative entities, sold well during the 30's and ultimately was chosen in 1938 to win the Pulitzer. Anyway, I would like to say that the narration was EXCELLENT! Bravo to Anthony Heald! Enjoyable and truly makes the time go by on a commute. Louis L'Amour is an American icon - every boy and girl should read his work. 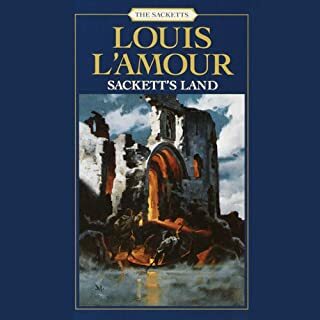 If you could sum up Sackett's Land in three words, what would they be? I feel like I got a glimpse into the turn of the 17th century in England and The New World. You could do a lot worse than trying to emulate the character traits of Barnabas Sackett. I enjoyed the subtle changes in tone of tener of the voice so that not only could the listener more easily identify who was speaking, it was simply more enjoyable to have it "acted" out. If you could take any character from Sackett's Land out to dinner, who would it be and why? Why, Barnabas Sackett, of course.